PUCH WAGEN MILITAR 4x4 | CWP. 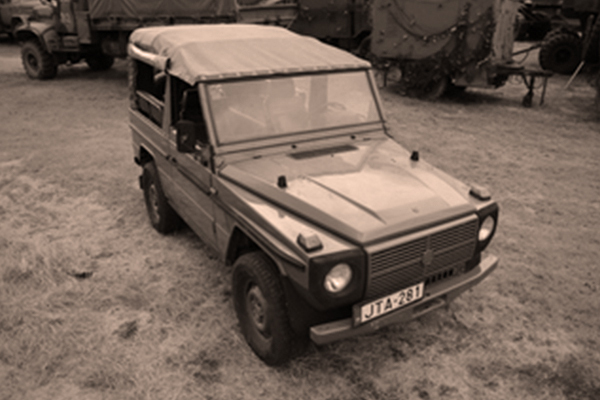 Drive a German Troop carrier all-terrain vehicle from the '80s, at the first International airport of Hungary! You will get a first-hand experience via one-to-one instruction on how to drive a Military Off Road! Our objective is simple, to give you the best experience possible in terms of quality, enjoyment, and satisfaction. Upon arrival, you will be given a safety briefing before driving. Your 1 drive around Military Off Road course of approximately 15 minutes or 5 laps is followed by at least 10 minutes as a passenger with your Military Off Road driving instructor. Spectators allowed as passengers for 25 € Includes Cold War Park War Machine exhibition visit. This program last app. 35 minutes.